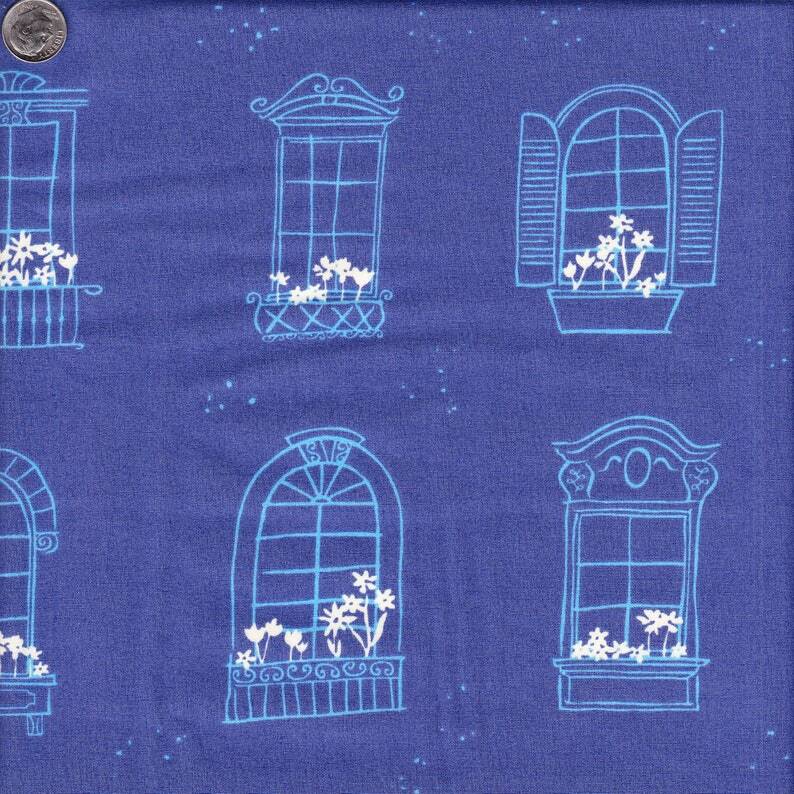 Windows with flowerboxes in periwinkle and white on a dark blue background. Designed by Amy Sinibalid for the Sonata collection by Art Gallery Fabrics, printed on 100% woven cotton. Half yard (18") length x 44" wide.